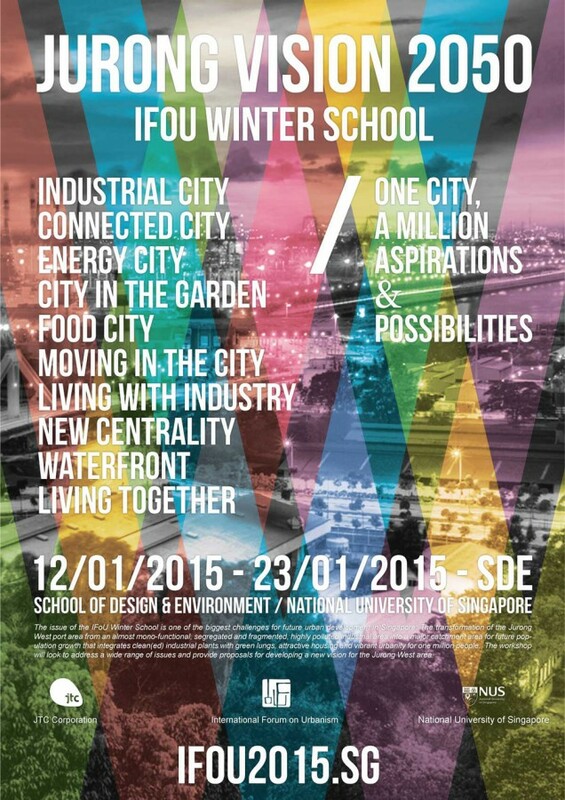 IFoU (International Forum on Urbanism) is an urban design platform which organizae international Conference and Workshop. This time I made Design (Logo, Poster, icons for design themes, and Web)?for upcoming workshop “Jurong 2050″in Singapore. Workshop will run with 5 main (subdivided into 10) themes and each team will draw different “vision” of the Jurong Area. For the logo design of the workshop, I use 5 colors of V(vision) and it is showing different V(vision) create more complex and strong Vision together. The background of the Poster was made with this logo and black and white picture of the area to show different potential and variety of future of the area. Icons of 10 themes are also design with V shape. Web site is quite simple since the site will run short time and mainly only for the participants. However, there will be a new page for the Design proposal soon after the workshop and I am planning to make the page a bit more interesting!